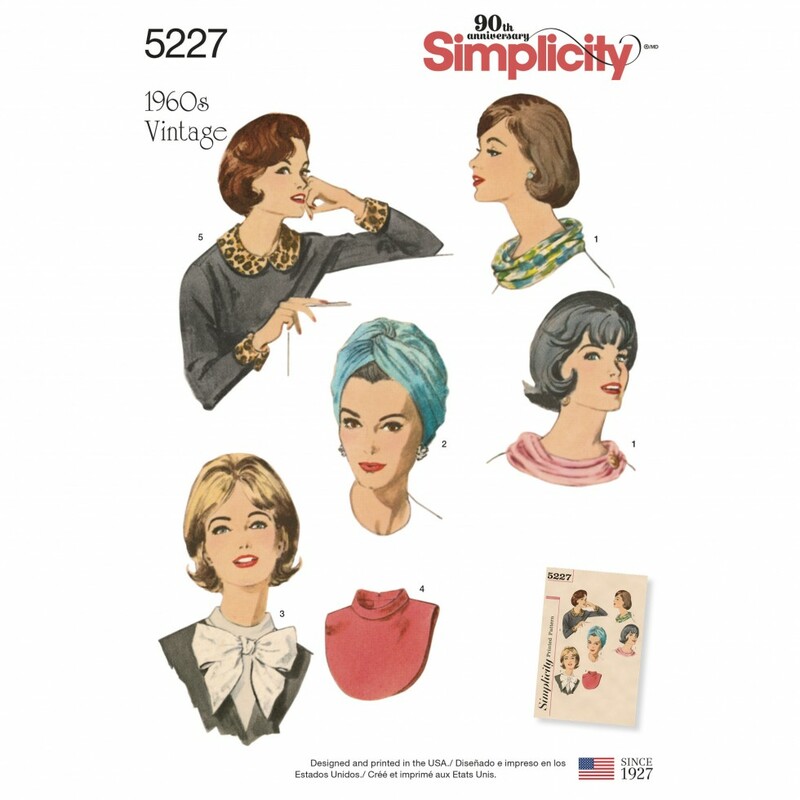 Accessory pac including ring scarf, collar and cuffs, dickey and turban in one size is an exact replica of the original printed pattern from our archives circa 1960: V.1 decorative ring scarf made of lightweight fabrics has center back seam. Turban in V.2 is gathered each side of center front seam. Dickey V.3 and V.4 features a bias roll collar, back button closing and is faced. V.3 has self fabric bow. V.5 collar and cuffs are detachable. Simplicity Vintage Original Copy.